Welcome to a little website for owners of the older Peugeot and Citroen cars. Here you will find some information on how to rebuild diesel pumps, keep ann Activa on the raod and how to overhaul gearboxes. Three of my particular interests and specialities! 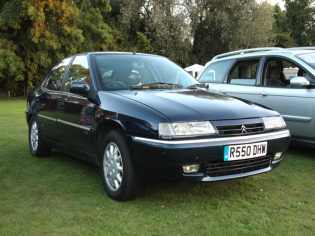 My interest in these French cars began long ago with a 1.9 XUD-powered Peugeot 405 with a leaky diesel pump. I fixed that and generally fell in love with French cars. My real passion began with a red peugeot 205GTi. It was a wreck and I rebuilt it almost entirely and finished up with a really lovely, fun car. 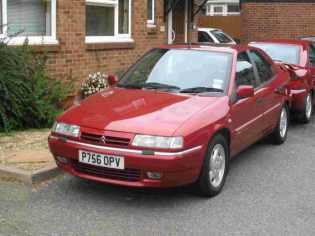 Times change and the need of a larger car was pressing and I bought a Citroen Xantia. 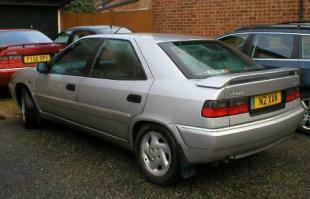 A 1.9TD "sinker" and that car began a long-running love affair with both the Xantia and the Double Chevron generally. Since then, I have owned a 2.1TD Estate and three Activas. I've recently restored a very poorly early Activa and have used it as a test-bed to try out experimental repairs on things like leaky rams and much else. Activas are brilliant fun cars but not for day to day use (they use too much pertrol). Day to day I run a MK1 Xantia V6. A fine car that is rather underestimated and a "well kept secret" They are seriously good and surprisingly frugal on petrol for a 3 litre automatic! In the time I have owned Xantias, there is barely a job I have not carried out on them. Everything from routine servicing to the repair and overhaul of the V6 automatic gearbox. My main areas of interest nowadays focus on the Activa and V6, two Xantias I'm very passionate about. I'm a frequent contributor to the French Car Forum (link opposite), the essential resource for all Xantia owners. Other excellent forums I urge you to visit are the BX Club and Club-XM. On all these forums you'll find a warm welcome and much help. I have recently published a detailed guide overhauling height correctors and how to make a substitute rear ram bush for a fraction of the cost of a genuine one. Should you wish to contact me, please do so via the French Car Forum.